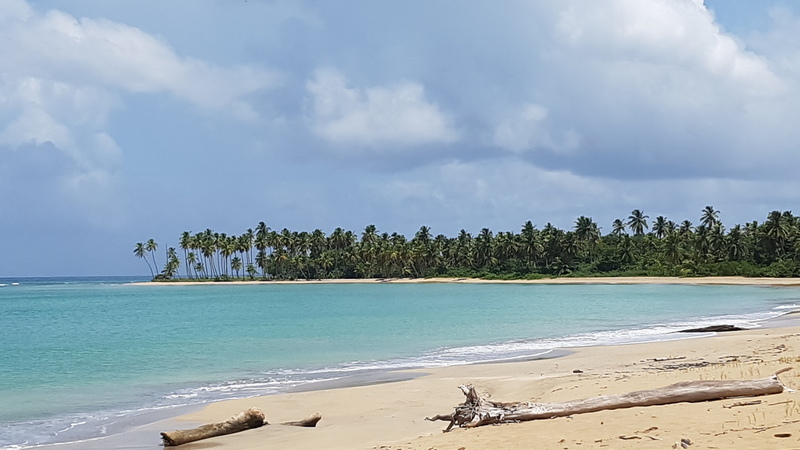 A creative itinerary off the beaten track, surprises, unique and unforgettable experiences, an introduction of the Dominican Republic´s hidden gems – that was what our client was looking for when they decided for an incentive trip to the Dominican Republic. 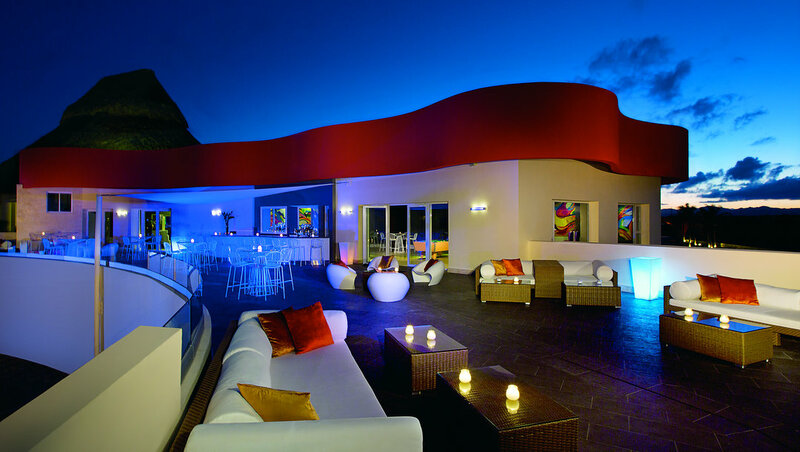 DOMINICAN EXPERT´s innovative travel experts, event coordinators and our executive chef were thrilled to put together an individual incentive program for our client that included highlights such as a camping adventure at a pristine and remote Caribbean beach, dancing and beers with the locals, a boat tour on the beautiful national park Los Haitises and a stay at one of Punta Cana´s best all-inclusive hotels, for adults only! 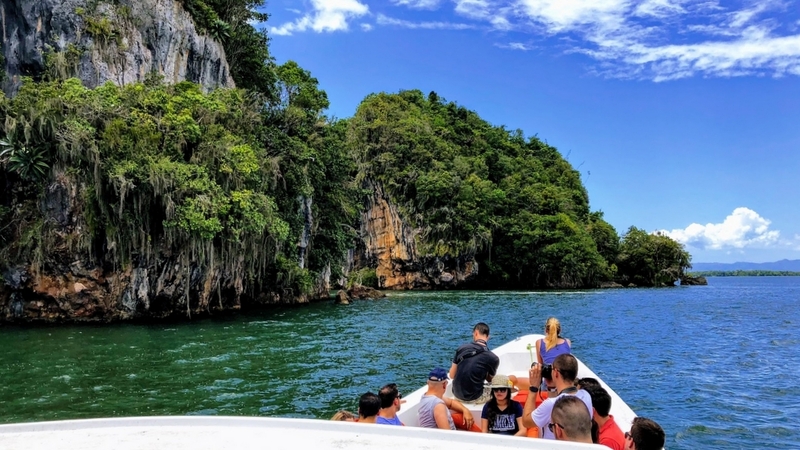 Are you wondering how happy the clients were with this itinerary? 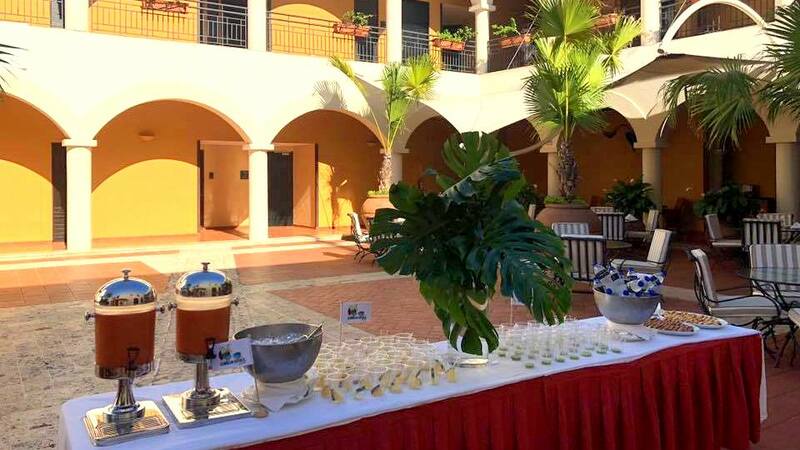 Then check out the following video and read the article to see how we created a memorable Caribbean incentive trip for our clients! 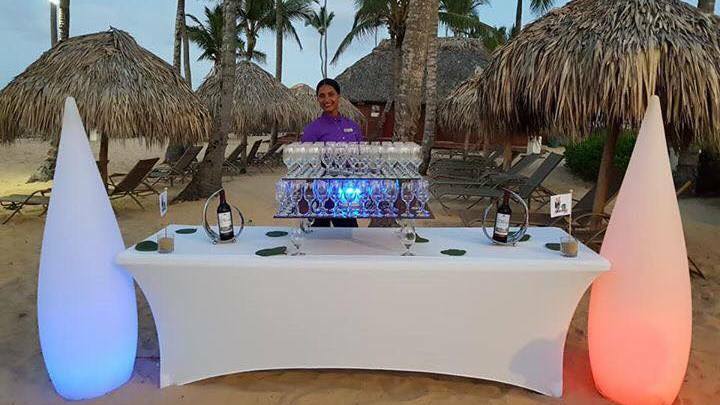 The group was welcomed at the airport by our staff and local guides from DOMINICAN EXPERT and everyone got a cold “Presidente” beer to start off this unforgettable incentive trip in the Dominican Republic in style! 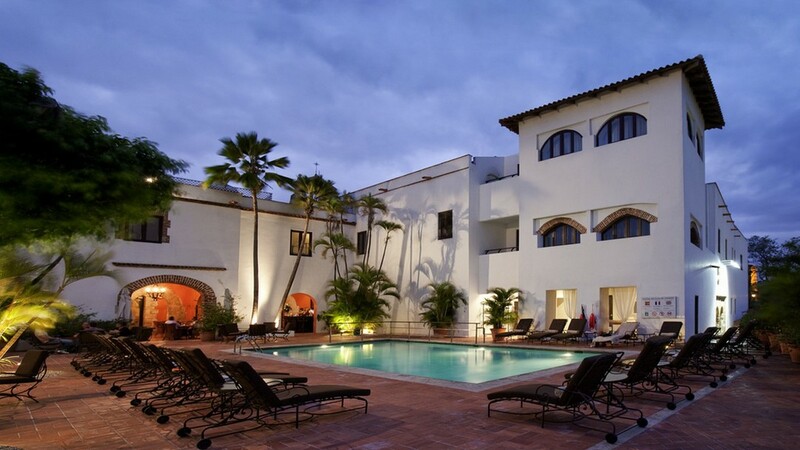 Upon arrival at their historic luxury hotel in the center of Santo Domingo´s Colonial Zone, some snacks and local dancers awaited the group in the beautiful patio while everyone got their room key and welcome presents. 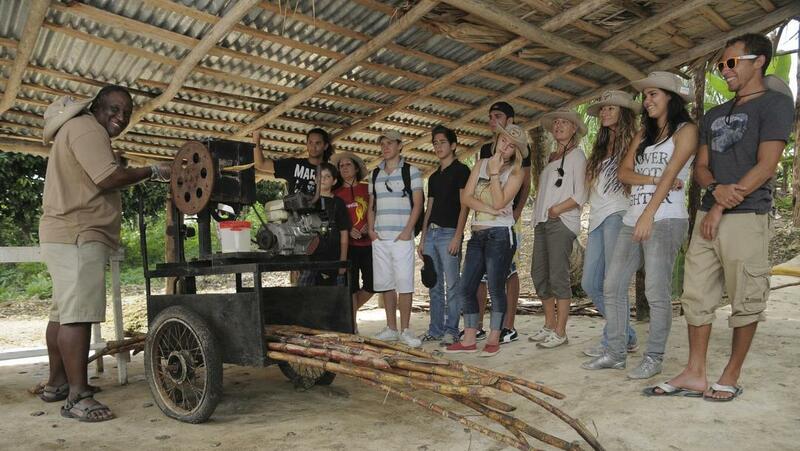 On a short-guided walk through the Colonial Zone, they followed in Columbus´ footsteps and learned more about the city´s impressive history. 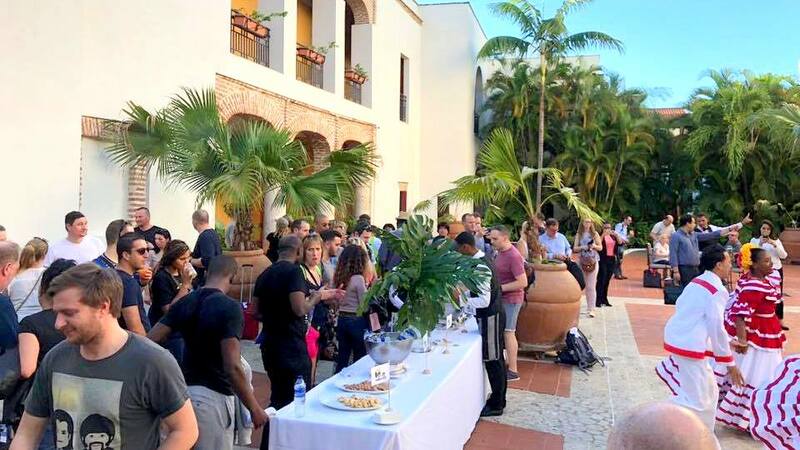 After a stop at a typical Dominican “colmado”, where they enjoyed some cold beers and drinks, they went for dinner at the famous Plaza Espana, with a view on the original house of Columbus´ son. 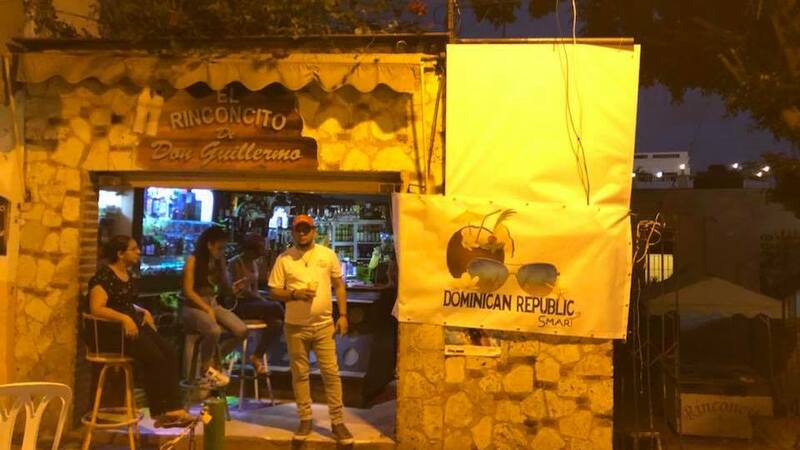 For everyone who wanted to continue the party afterwards, DOMINICAN EXPERT offered customized nightlife maps of the Colonial City with some insider tips on the best bars and dance clubs in the area. 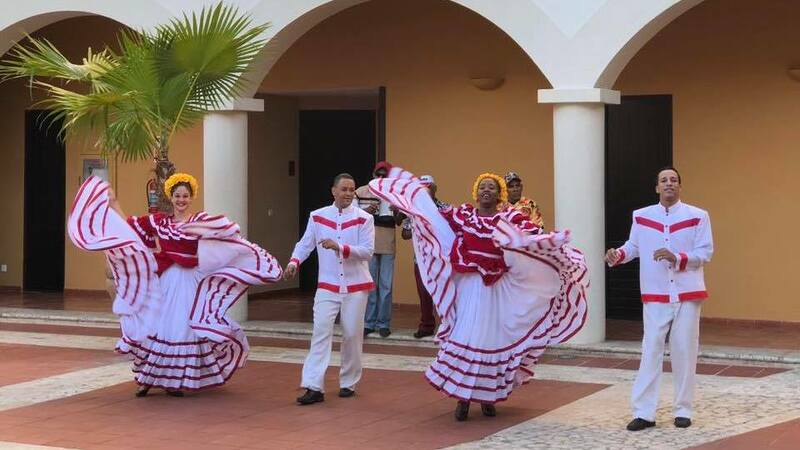 Our incentive travel group continued towards the north of the Dominican Republic. 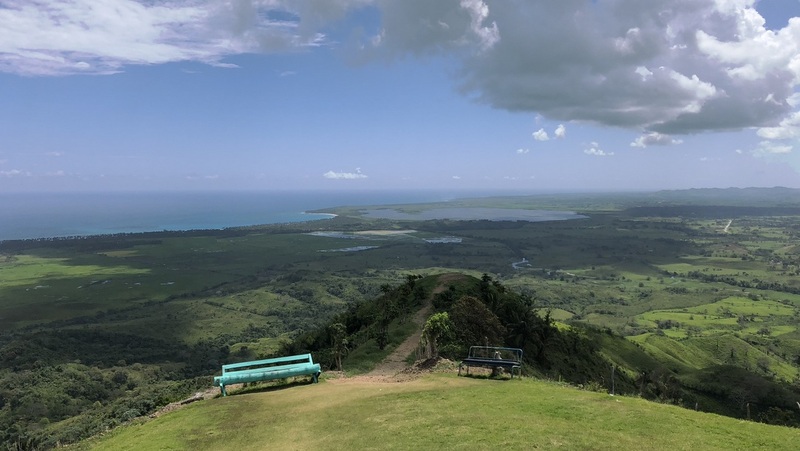 The first destination was the stunning national park Los Haitises. 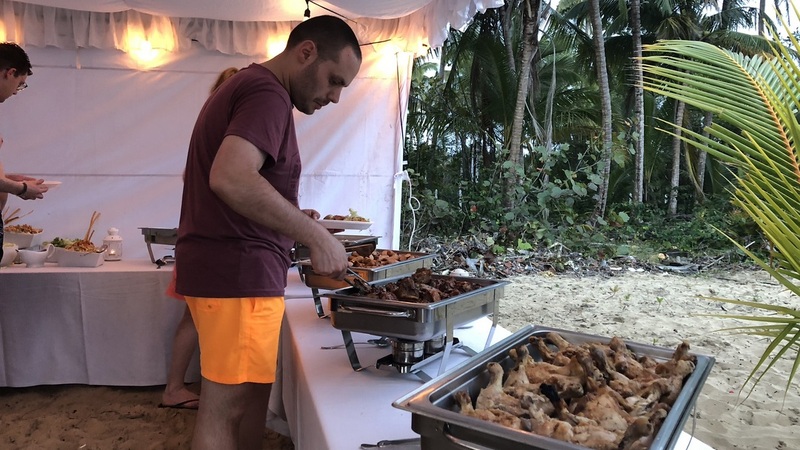 For a more comfortable bus ride, the group got surprised with a delicious, fresh snack from our Mi Corazon Catering, drinks and Presidente Beer. 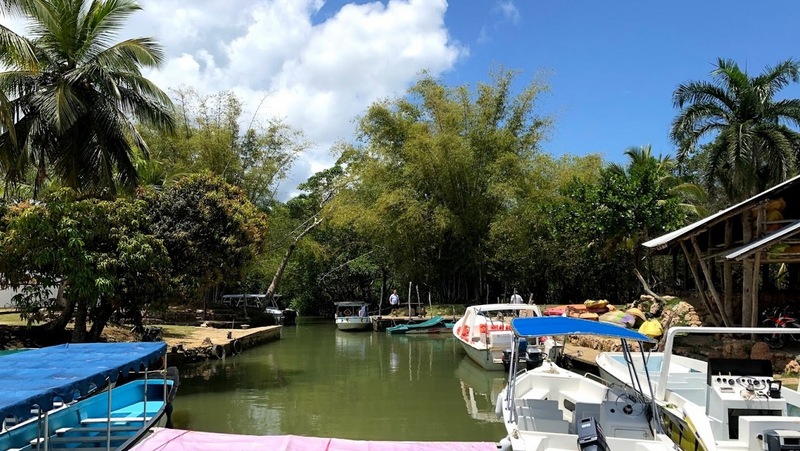 A boat was waiting to take them on a tour through the mangroves of the national park, where they witnessed spectacular nature and birdlife. 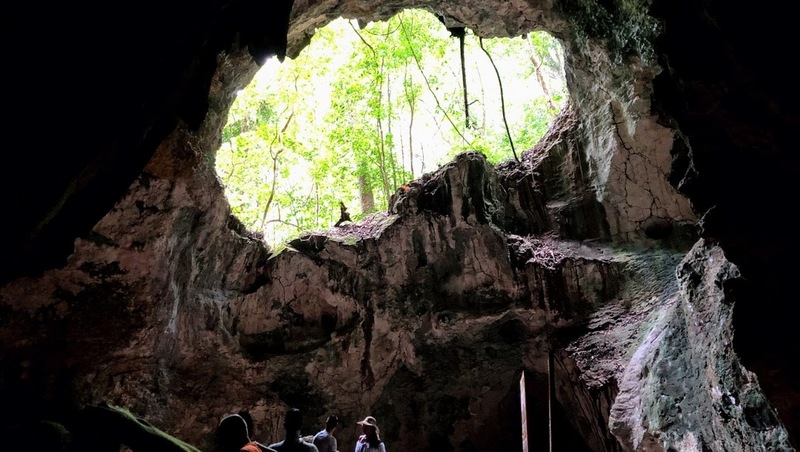 Along the way, they stopped at a cave to see some paintings and relicts of the original Taino Inhabitants – most of them more than 500 years old. 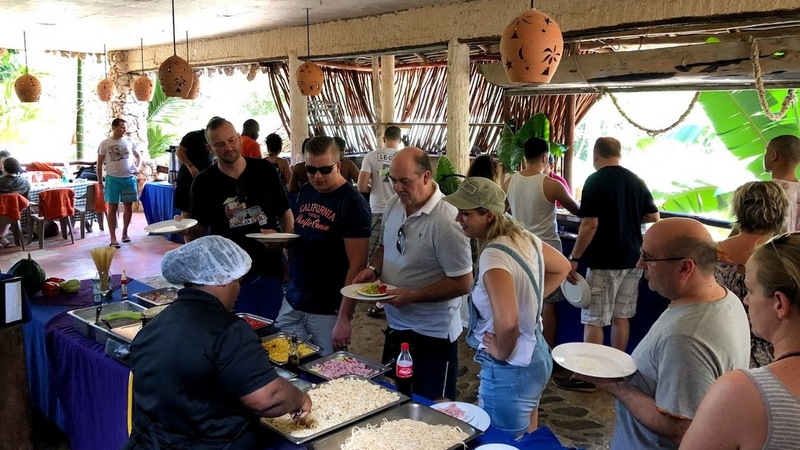 Afterwards, a delicious, sumptuous Dominican lunch buffet and an open bar was prepared and served at a unique eco-hotel inside the national park. 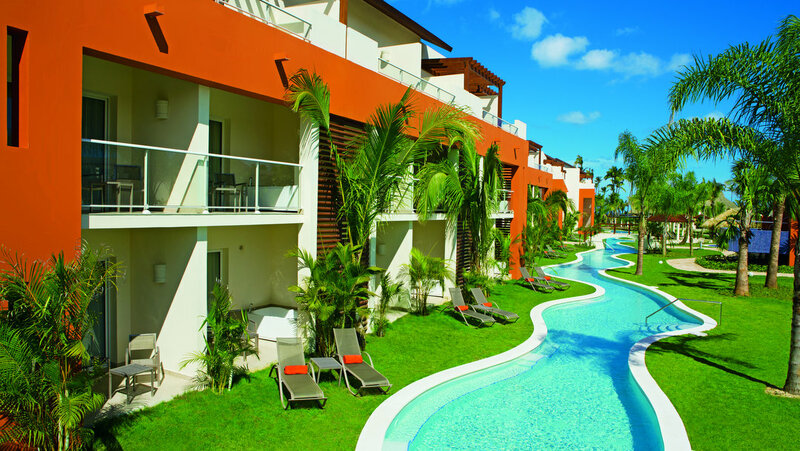 Every participant received a company-branded towel, organized by DOMINICAN EXPERT, to take a refreshing swim in the waterfalls and the natural pools around the hotel. 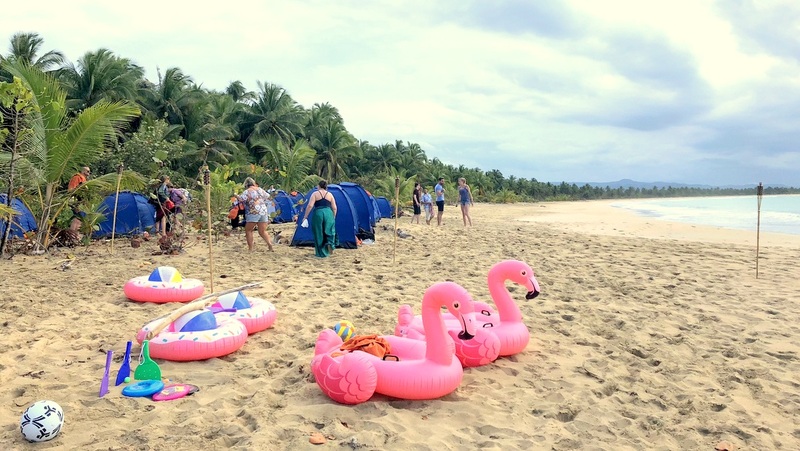 The journey continued and a next highlight of this incentive travel in the Dominican Republic was awaiting: an adventure camping on a pristine beach in the north of Punta Cana, set up only for this incentive group, in the middle of nowhere! 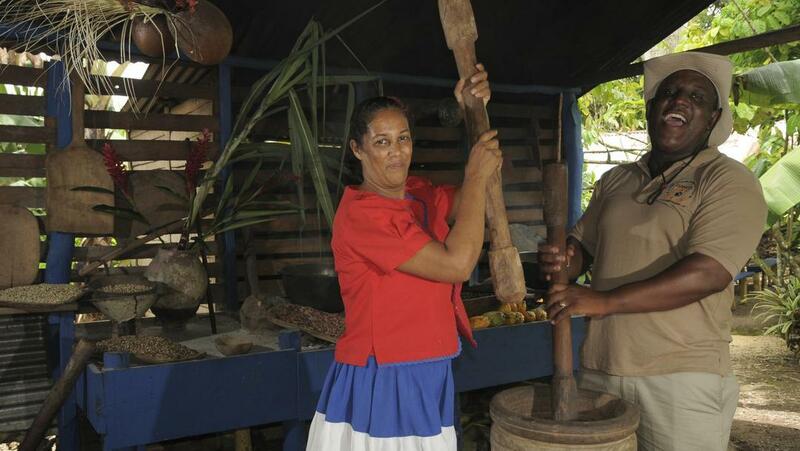 They were welcomed with some cool towels and fresh coconuts (and a shot of rum for an original Coco Loco drink!) 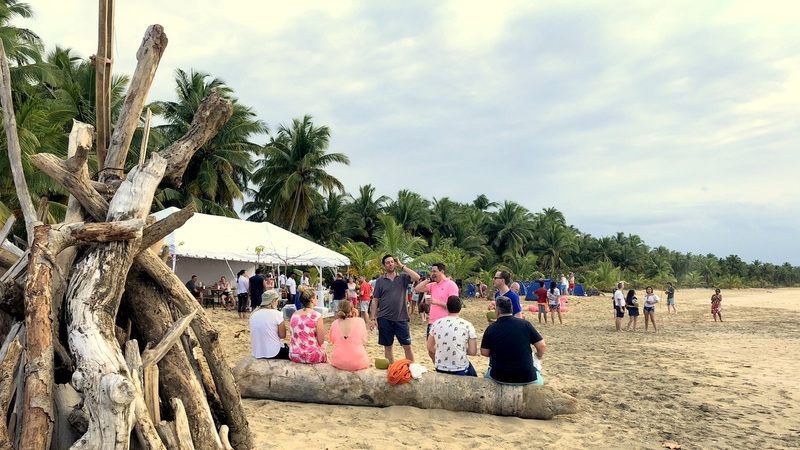 and spent a relaxing afternoon at the beach, swimming in the ocean, drinks from the open bar and some beach games DOMINICAN EXPERT provided, like soccer or beach tennis, or sunbathed on stylish inflatables on the ocean. 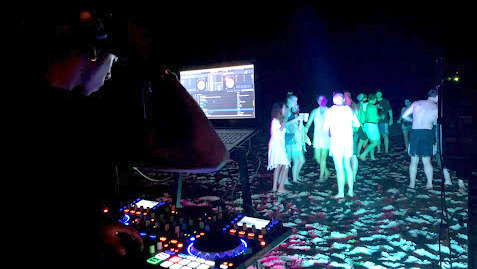 Later in the evening, as the sun went down, the lights and torches were all lit up for a very special atmosphere on this beautiful, virgin beach in Punta Cana, 30 minutes away from the next village and paved road, and a sumptuous beach BBQ by Mi Corazon was served, paired with some good wine. After dinner it was time to party! 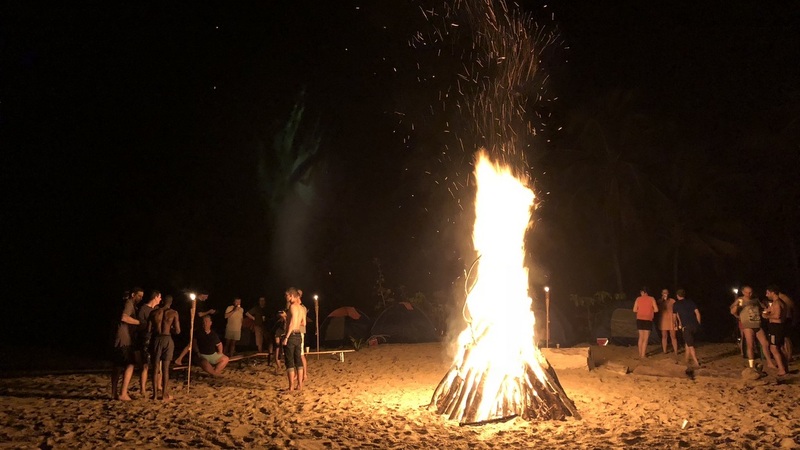 The DJ started playing, a spectacular 2-meter bonfire was lit and the group spent the whole night dancing and talking by the bonfire. Another highlight of the evening was a spectacular fire show of one of our professional artists. 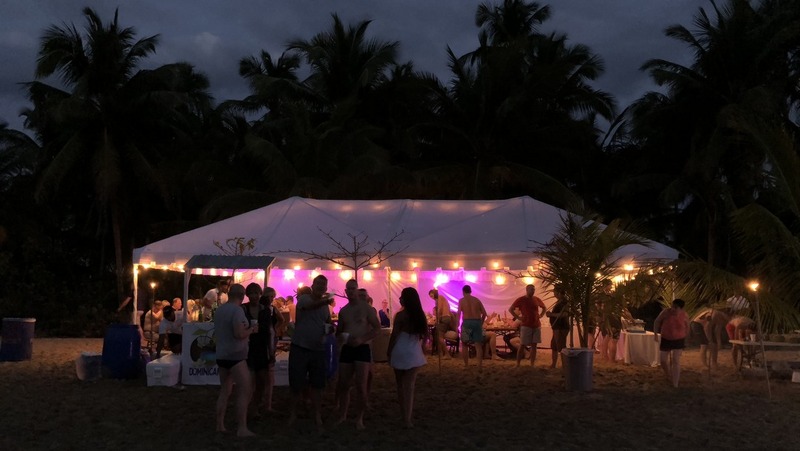 Late at night, everyone went to their tent (set up right at the beach) and fell asleep tired but happy to the sound of the swaying palm-trees and waves of the ocean after this eventful day of their incentive trip in the Dominican Republic. 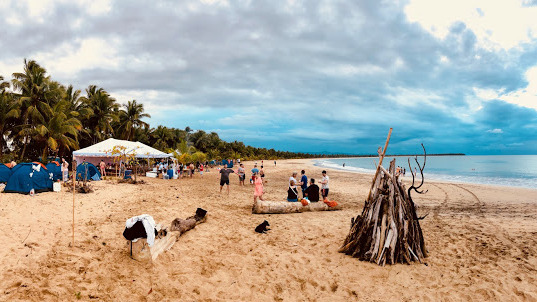 The sun was rising above the sea and everyone woke up to the soft sound of especially arranged live guitar music, an amazing ocean view and a truly unique atmosphere at the beach. 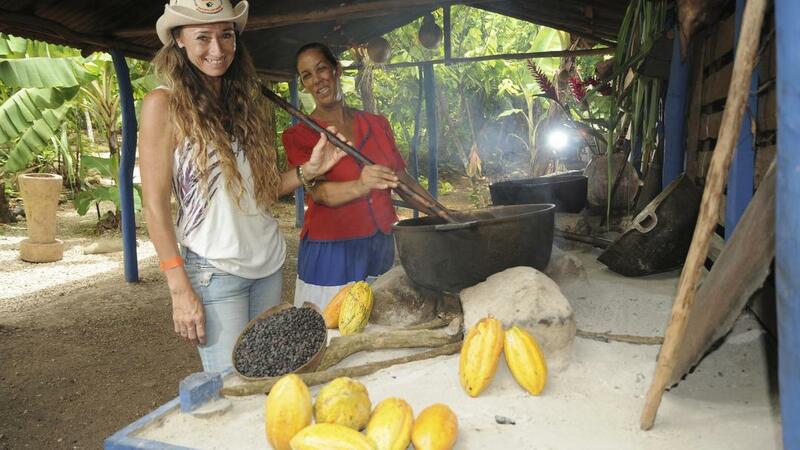 DOMINICAN EXPERT already awaited them with some freshly brewed coffee. 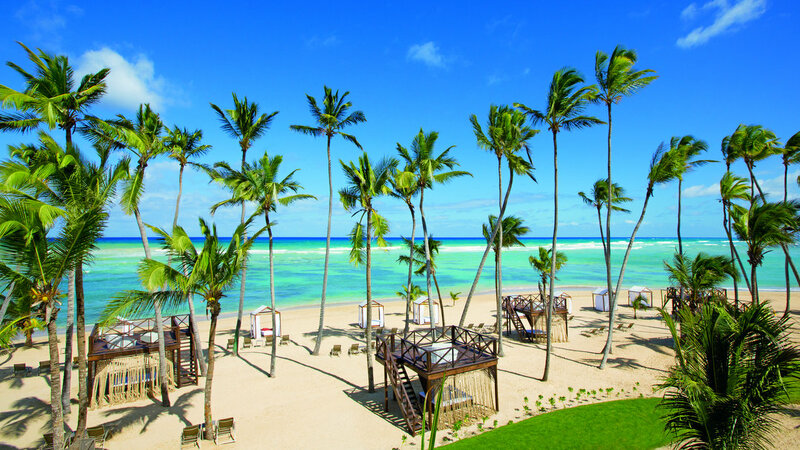 After a sumptuous breakfast buffet by Mi Corazon, it was time to leave this beautiful beach as the next adventure of their incentive trip in Punta Cana was awaiting them. 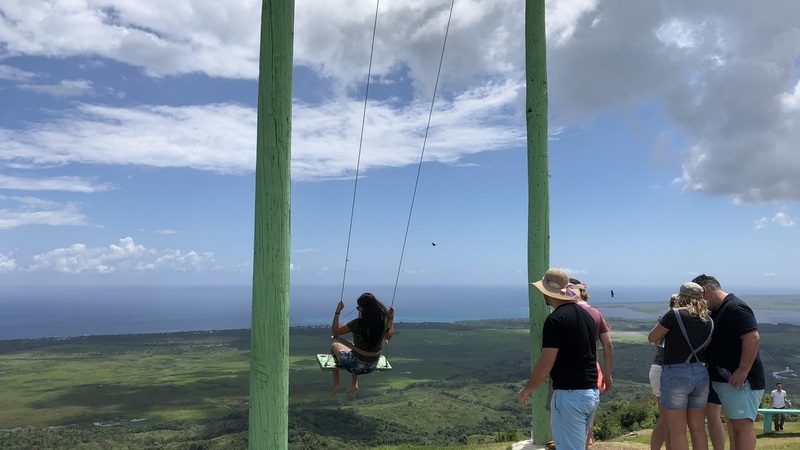 The next destination was Montana Redonda, the Dominican Republic´s most beautiful mountain top with spectacular views over the lush, tropical nature surroundings and the amazing coastline. On top of the mountain, cold beers and snacks in a company-branded atmosphere awaited the group while they took some unique photos. 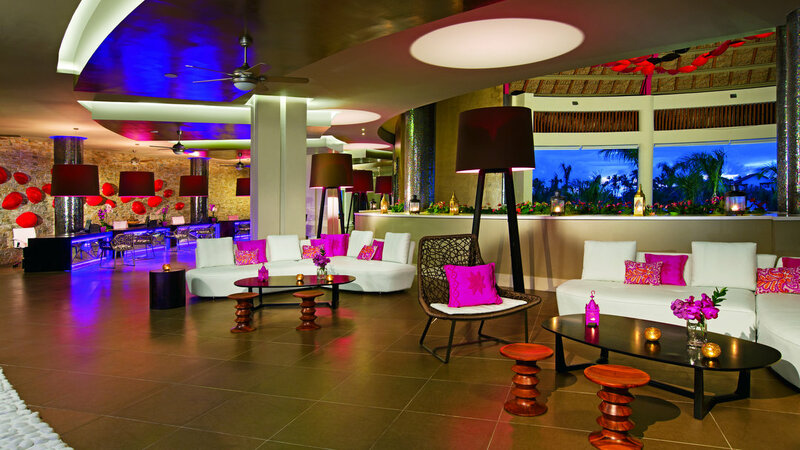 Next stop – the final destination: a luxury all-inclusive hotel in Punta Cana, for adults only! 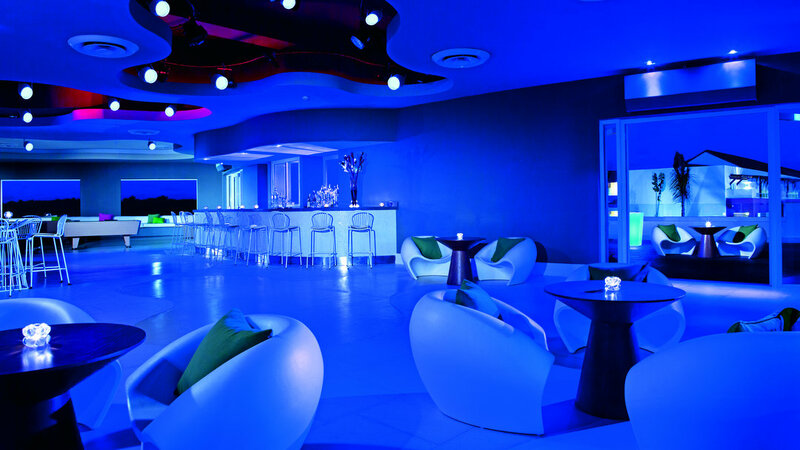 A private check-in with a DJ, massage service, drinks and appetizers were only the beginning. 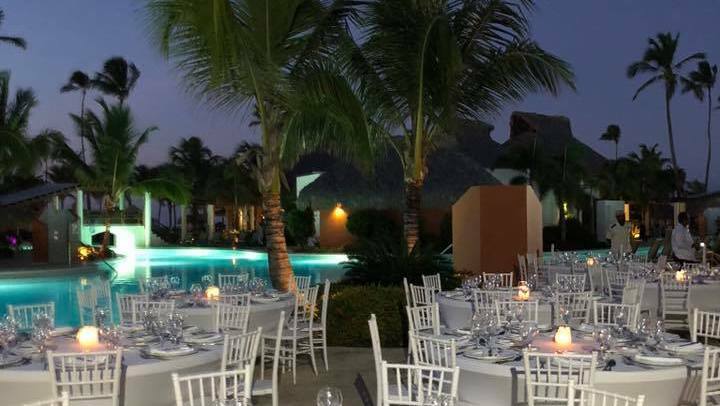 After a relaxing afternoon by the pool or the beach, everyone met for a private group dinner at one of the hotel´s stylish beachfront restaurants. 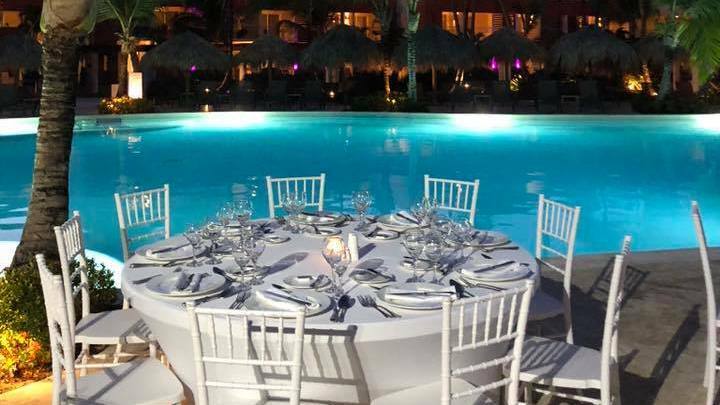 The group spent the last 5 nights of their incentive trip in the Caribbean at this all-inclusive hotel in Punta Cana with several events, activities and excursions organized by DOMINICAN EXPERT. 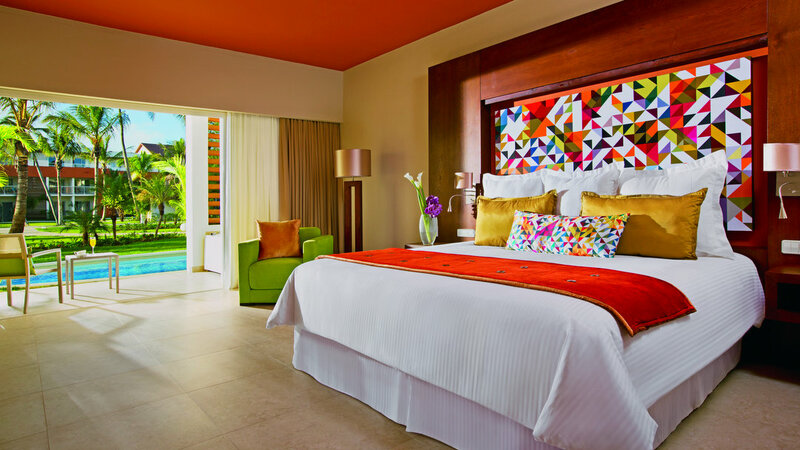 After an eventful incentive trip with lots of travelling to some of most beautiful and unknown places of the Dominican Republic, the group relaxed and leaned back in their adults only hotel in Punta Cana. 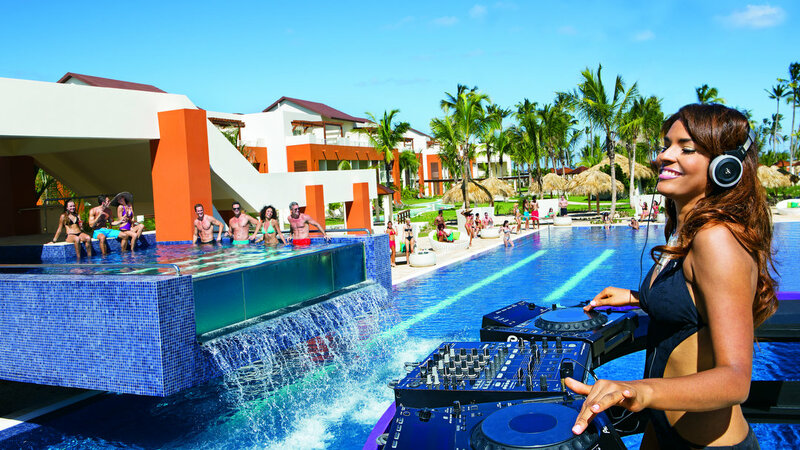 Enjoying pool parties with a DJ, swimming in the ocean, sushi, dance and Spanish lessons, outdoor whirlpools, different dining options, premium drinks, big swimming pools, 24-hour room service and different sports activities – those were only a few of the hotel´s highlights to make this incentive trip in Punta Cana unforgettable. 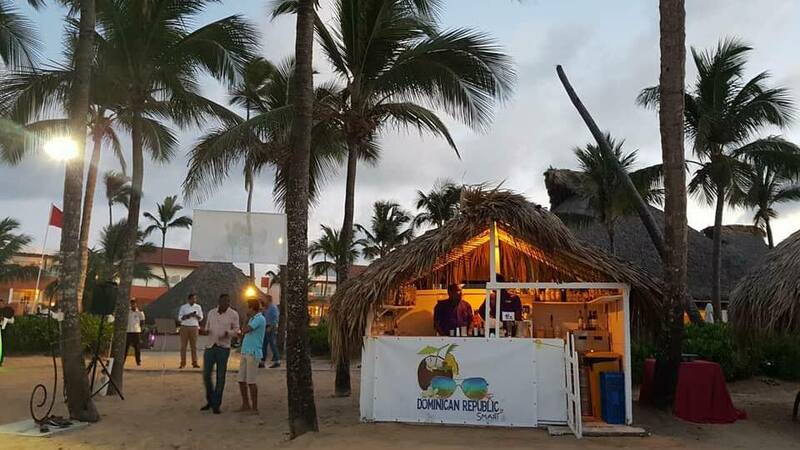 Nightly cocktail receptions by the beach or private dinners were arranged by DOMINICAN EXPERT for the group to get together, keep the incentive spirit of this trip and share their experiences and impressions of the day. 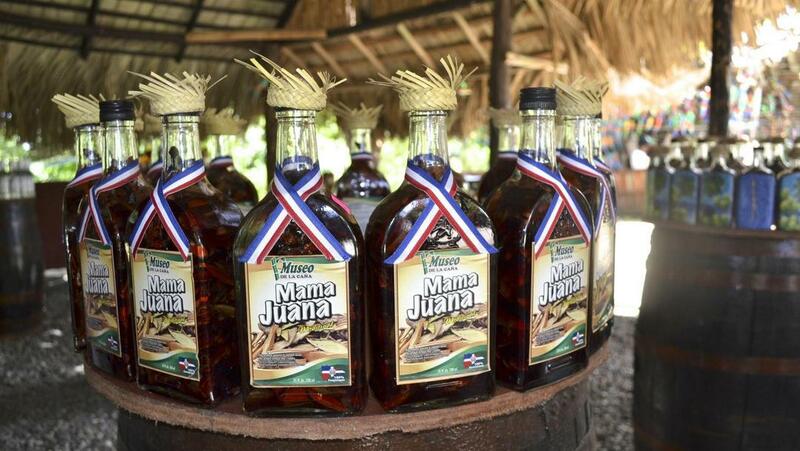 But that was still not everything DOMINICAN EXPERT had planned for this incentive group! 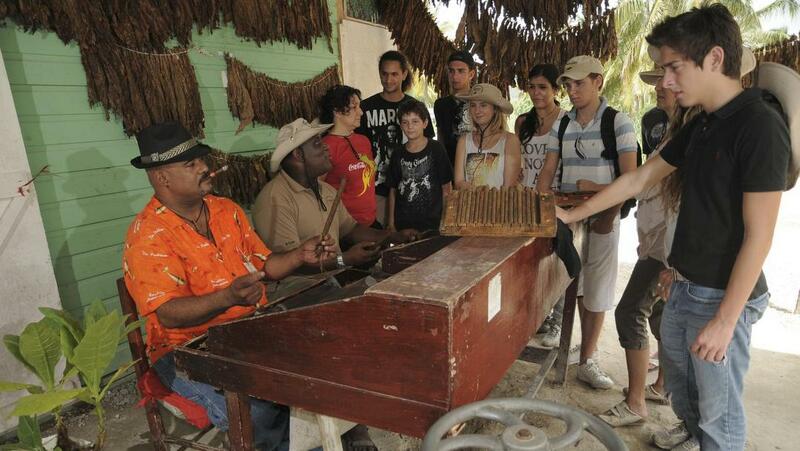 A private excursion in Punta Cana awaited them to get to know more about the Dominican culture and its people. 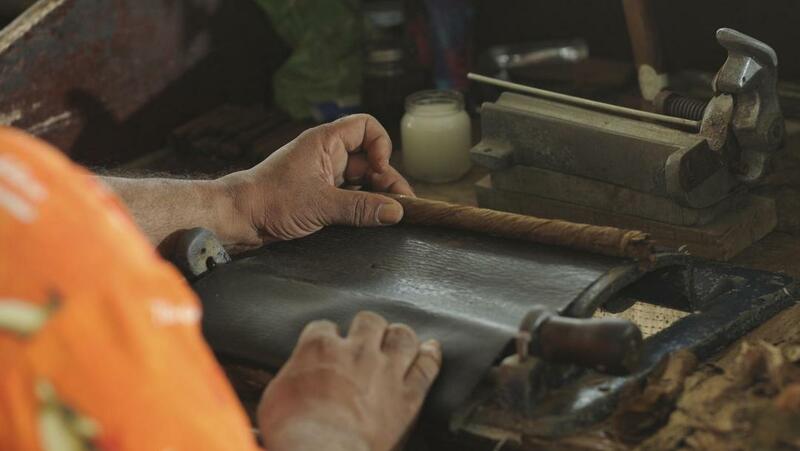 The group was picked up by safari trucks that took them through stunning, tropical vegetation, along rice and sugar cane fields and passing small towns. 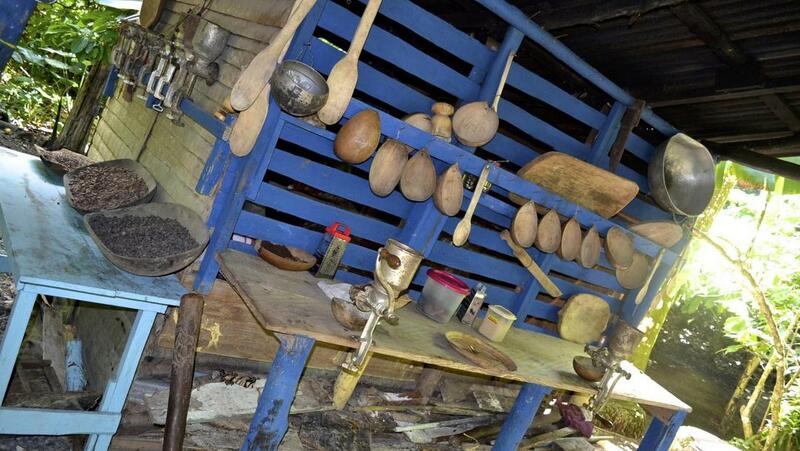 They visited a Dominican house and learned more about the tropical fruits that grow here. 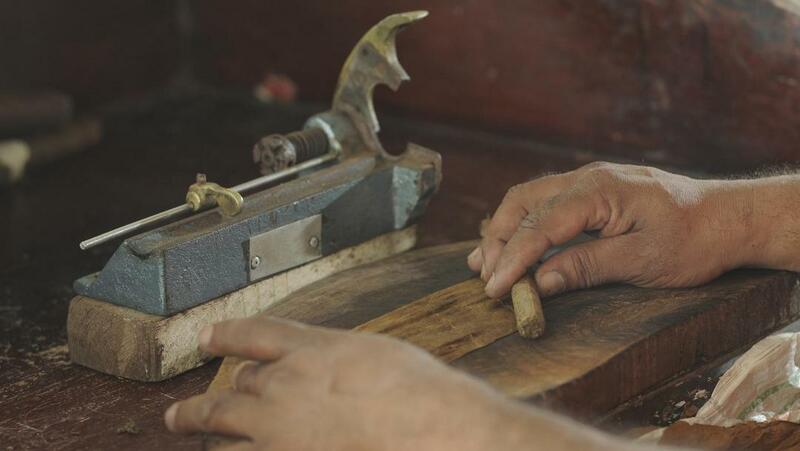 A stop at a cigar roller and a shot of Mamajuana weren´t left out, of course. 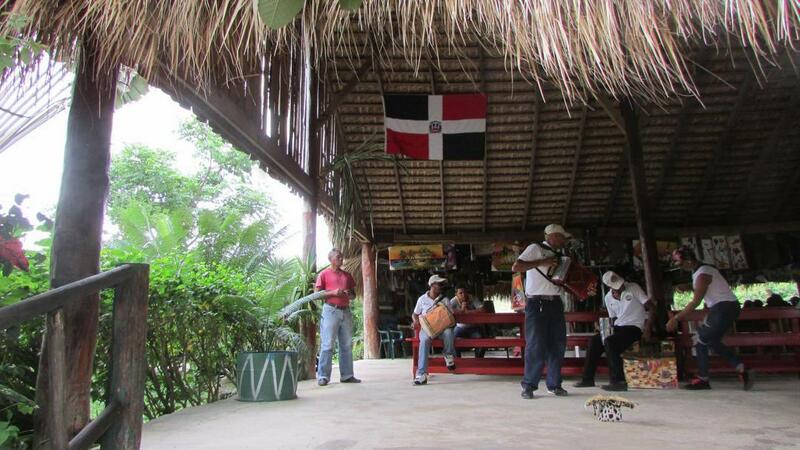 After a sumptuous lunch buffet, another highlight was awaiting them: a private dance party with the locals at a typical “colmado”, where they shared drinks, played games and learned how to dance Dominican merengue with the locals! 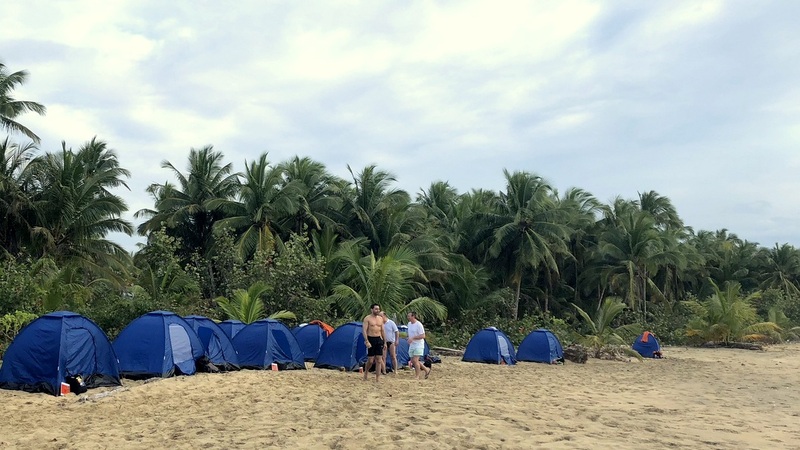 All this happened in a village far outside of the tourist zones, so everything was super authentic and the group was very happy and surprised as you could see in their smiling faces. 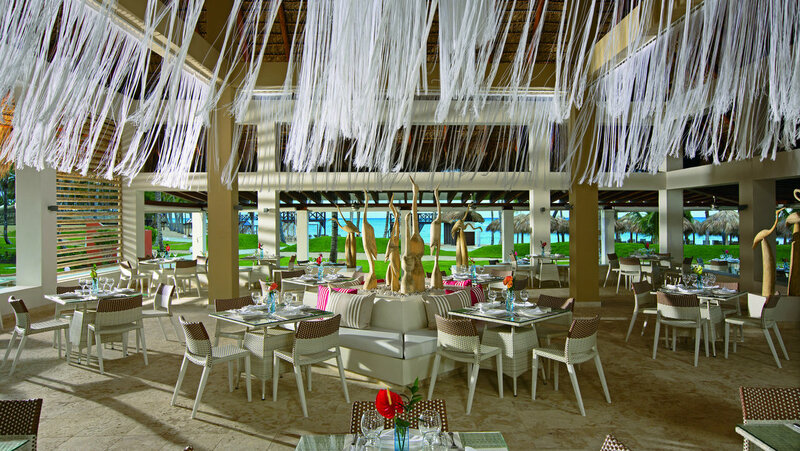 The last stop was at the beautiful beach of Macao in Punta Cana, where they enjoyed some more drinks and had time to swim in the ocean before heading back to their luxury hotel in Punta Cana. 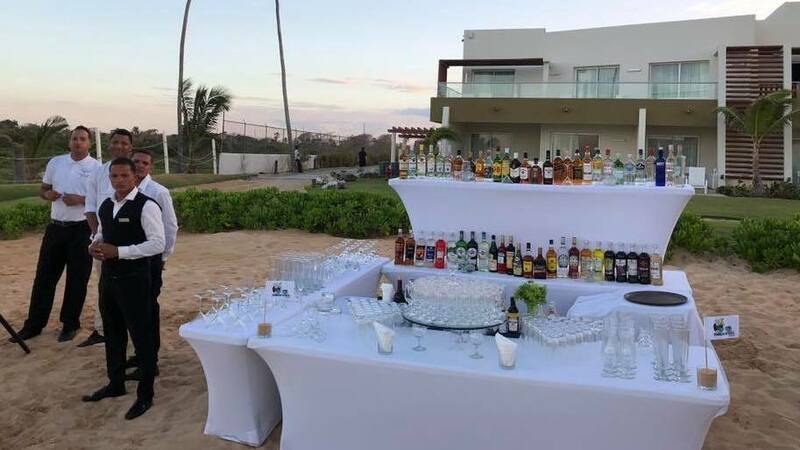 Certainly, the end of this incentive trip and all the memories and connections everyone had made along the way, had to be celebrated in style! 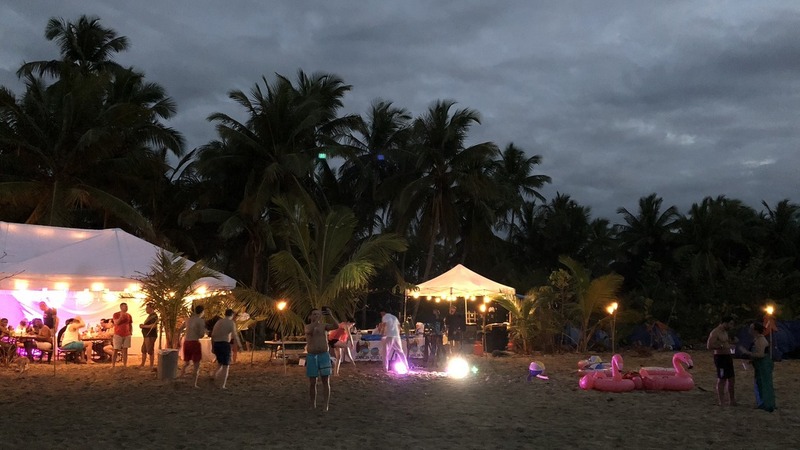 DOMINICAN EXPERT organized an all-in-white beach party, beautifully decorated with bistro lights and some orange touches (the color of the company! 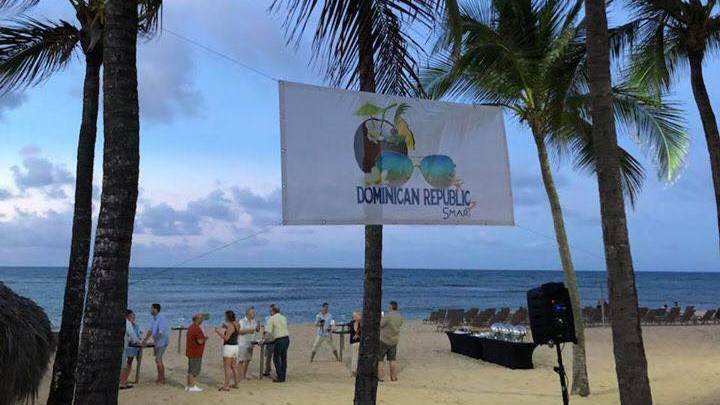 ), a delicious beach BBQ, a cigar roller with branded cigars as a giveaway and a DJ to celebrate before everyone flew home with lots of fond memories of their incentive trip in the Dominican Republic, all organized by DOMINICAN EXPERT. 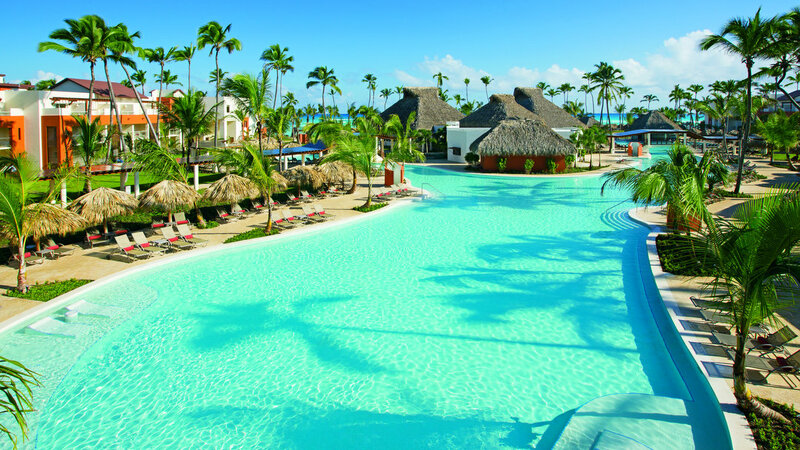 Are you interested in an incentive trip in the Dominican Republic? 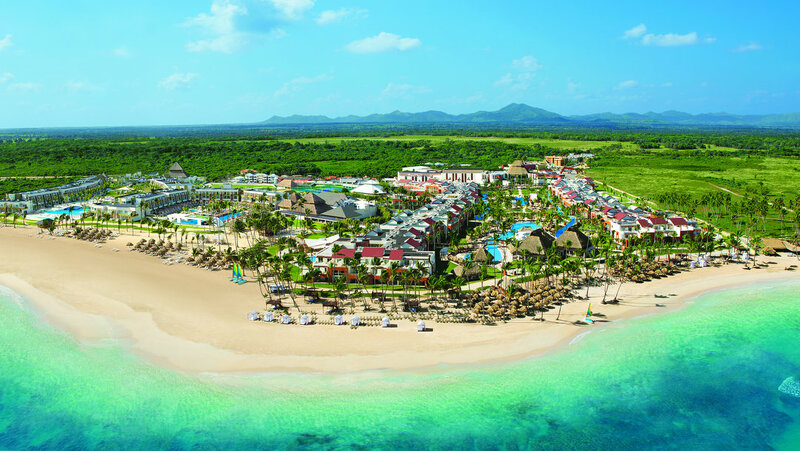 A few more of our incentive ideas in the Dominican RepublicWhy Incentive Travel in the Dominican Republic?